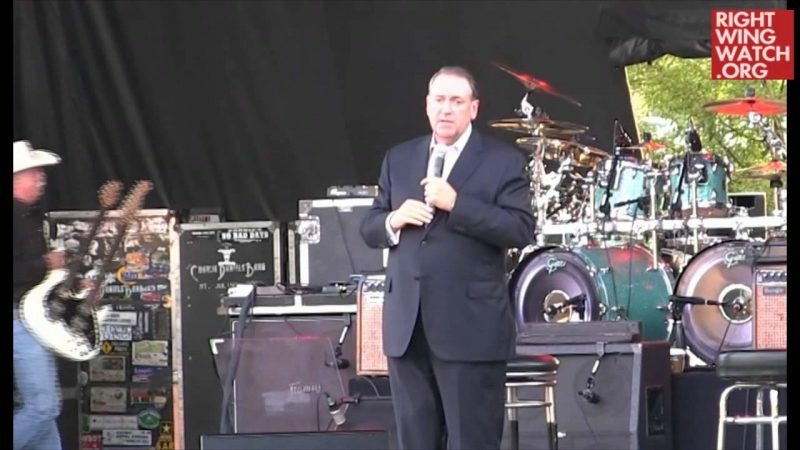 Over the weekend, Mike Huckabee hosted an event in Little Rock called “America from Ordinary to Extraordinary,” where he warned about the dangers facing the U.S., including gay rights and criticism of conservatives. 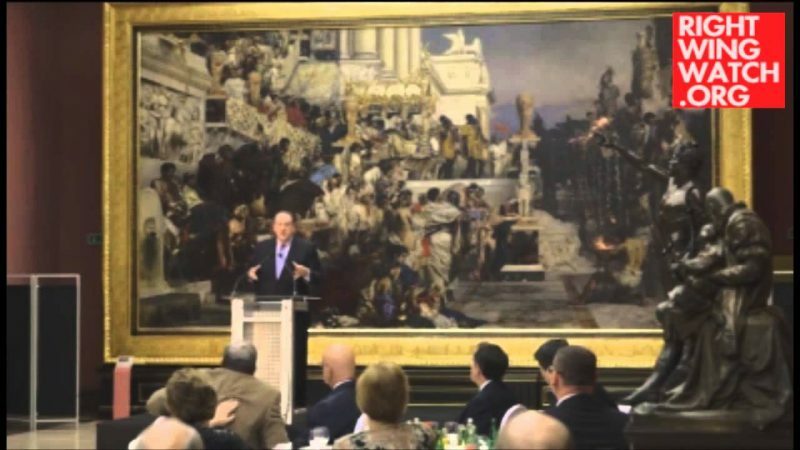 At one point in his speech, Huckabee appeared to draw a connection between Nazism and legal fights over gay rights in America. Huckabee said that while groups like ISIS are broadcasting their crimes to the world, “at least the Nazis tried to hide what they were doing at Auschwitz and Birkenau.” He went on to explain that the Nazis consolidated their control and launched the Holocaust by consistently lying to people. “You have to lie to people, and when lies permeate our culture, it’s a dangerous, dangerous thing,” he said, before asserting that just as Nazi Germany pushed lies on a massive scale, American culture has been inundated with “lies” about the definition of marriage. “We’re abandoning the basic concept of free speech and liberty. If you are a believer and you believe old-fashioned things like the definition of life and the definition of marriage, it’s possible that the government will put you out of business as they have in numerous occasions like Elane’s Photography. 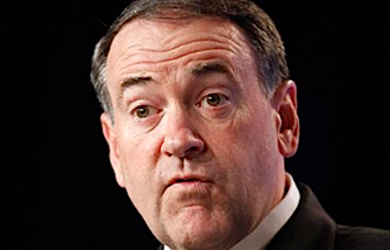 Out of business,” Huckabee said, referring to a photography business that denied service to a gay customer. He then brought up the case of an Oregon bakery which similarly refused service based on customers’ sexual orientation, claiming the bakery’s owners were threatened with jail time, which they were not. 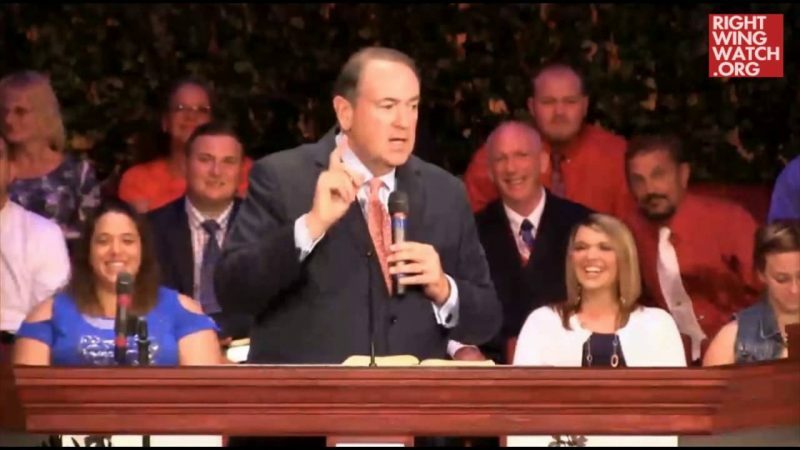 Huckabee also defended anti-gay organizations classified by the Southern Poverty Law Center as hate groups, such as the American Family Association, as simply groups that speak “the truth” about issues like homosexuality. He said that Christians who “love people enough that you are willing to tell them the truth” are now viewed as hateful.